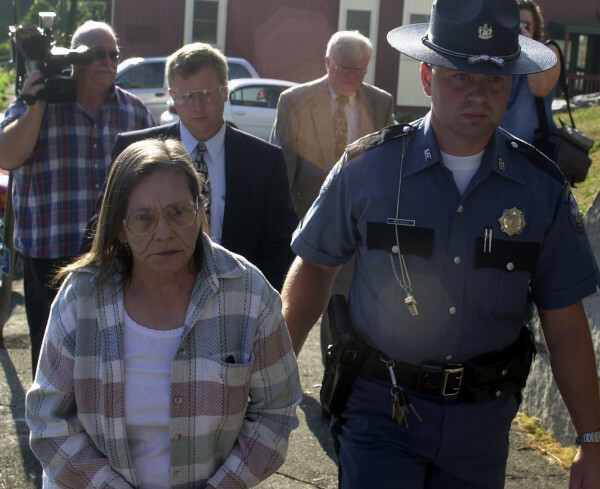 Norma Small is escorted into Kennebec County Superior Court, Aug. 27, 2001, for her arraignment on charges that she had her husband, Mervin "Sonny" Grotton, killed in 1985. 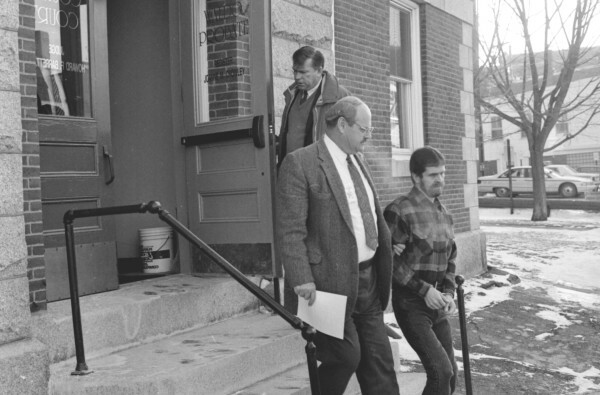 Joel Fuller leaves the Waldo County Courthouse in January 1993. Fuller later was indicted but found not guilty of murder in connection with the 1983 shooting death of Mervin "Sonny" Grotton. A production crew from CBS true crime program "48 Hours" interview Belfast City Councilor Mike Hurley about what Belfast was like during a crime wave in the 1980s, which included three execution-style murders. "They had more gear than I'd ever seen," Hurley said of the crew. "It was interesting. It took me back to a different time in Belfast. ... There was a bit of an outlaw culture here." 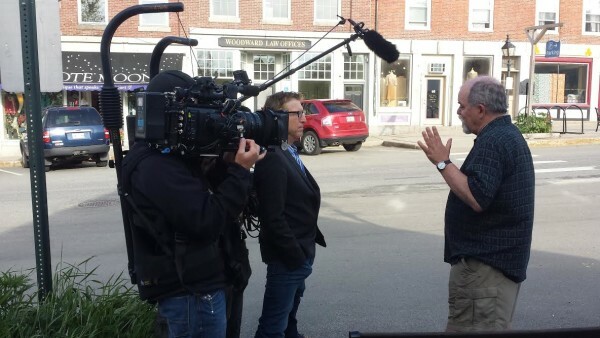 BELFAST, Maine — When a production crew from the CBS true crime program “48 Hours” rolled into Belfast last week, they did not come to tell the story of the little city’s growing economy, picturesque harbor, vibrant and historic downtown or its full slate of summer festivals. Instead, they were on the trail of Belfast’s dark side: a murder that occurred here more than 30 years ago during a period when drug-related mayhem had a tight grip on Waldo County. Producers working on a new, six-part offshoot series of “48 Hours” are doing a show on the 1983 murder for hire of Mervin “Sonny” Grotton, a 46-year-old Navy chief petty officer from Belfast who was felled by three shots from a rifle as he walked from his pickup truck to his front door. The killing happened at the beginning of a period of cocaine-fueled mayhem in Waldo County that saw two other men killed and many more arrested. One of Waldo County’s most notorious criminals, Joel Fuller, was convicted of the two other drug-related killings and was charged with murder, though not convicted, in connection with Grotton’s death. CBS producers became specifically interested in Grotton’s killing because he was in the U.S. Navy, and the Naval Criminal Investigative Service, or NCIS, played an important role in bringing his widow, Norma Small, to justice, according to Megan Pinette, the president of the Belfast Historical Society and Museum. She spoke with a producer for the show in mid-May, when the producer came to Belfast for an initial scouting trip. “I asked, ‘What’s the interest now?’” Pinette said. The answer was simple. The crime program “NCIS” is the most popular show on CBS, she learned. Because the real NCIS helped solve Grotton’s murder, the crime seemed like a good fit for the new offshoot series, which will be produced in conjunction with “NCIS.” Producer Alec Sirken of CBS said the new show will feature “real” NCIS cases, whereas the popular television show is fictional. For a long time, Grotton’s execution-style slaying was an unsolved mystery. 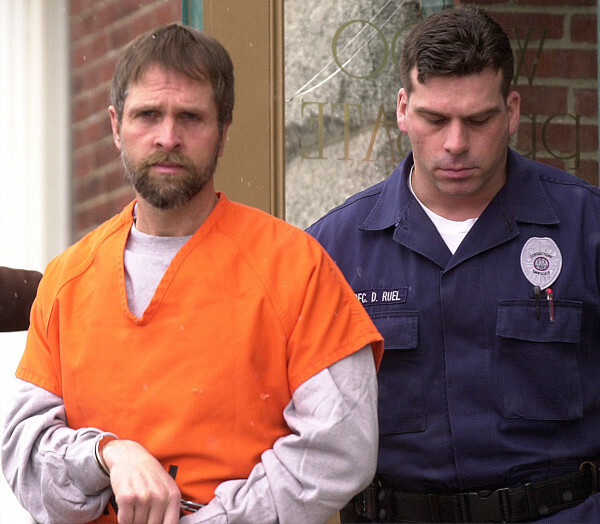 It took 17 years before anyone was charged in connection with the killing, though former state trooper Mark Nickerson, who helped secure Grotton’s Wight Street home after his death, said he thought someone would be arrested that night: the brand-new widow, Norma Small. Small, now 76 and serving a 70-year prison sentence for murder and theft, pleaded ignorance after her husband was killed. She was a suspect from the beginning, according to former Maine State Police Detective Dean Jackson, who helped solve the case in the early 2000s. The couple married young, Jackson learned, and had suffered a tragedy in the late 1950s, when their three or four young children perished in a house fire. Sonny Grotton wasn’t home and Norma Small got out, but none of the children survived. The detectives learned that the weekend before the murder, Grotton kissed his wife goodbye in front of a friend who was at the house, then hit the road for Newport, Rhode Island, where he was a chief petty officer working with U.S. Navy intelligence. “After he turned around and left, Norma said ‘That’ll be the last time that he does that to me,’” Jackson said. But there wasn’t enough evidence to charge her, so she remained free. Small moved to Gas, Kansas, in the late 1990s, but police in Maine didn’t forget about her. In the spring of 2001, state police detectives and undercover agents from the NCIS obtained evidence to indict Joel Fuller in Sonny Grotton’s killing, Jackson said, and decided to mount an undercover investigation to finally get to the widow. Fuller already was serving two life sentences for two drug-related murders, and according to BDN archives, a drug dealer told police that Fuller had bragged to him about killing a Navy man in Belfast. The dealer said that, according to Fuller, the victim’s wife had paid him to kill her husband. “We just needed a little admission out of her mouth,” Jackson said, and the investigators got it after an undercover agent posing as an ex-con friend of Fuller’s headed to Kansas to talk to Small. He told her someone had been talking to authorities about the case and that Fuller wanted the leak plugged. “She said, ‘It’s not me, and I expect the same from him,’” Jackson recalled. Small, Fuller and Boyd Smith, the ex-boyfriend of one of Small and Grotton’s daughters, were charged with murder. In the trials, the state contended that Small asked Smith to help her find someone to kill her husband. Smith testified that he approached Fuller and told him what Small wanted. But only Small was convicted, found guilty by a Sagadahoc Superior Court jury in 2002 of her husband’s murder and of the theft of more than $180,000 in survivor benefits she collected from the Navy. Fuller and Smith were found not guilty, though Fuller remains incarcerated for the other two murders. John Ford, the former Maine game warden and sheriff, and Fuller, now 60, have written letters to each other for years. Ford is not convinced his prison pen pal pulled the trigger of the gun that killed Sonny Grotton. After Fuller’s trial for Grotton’s murder for hire concluded, Ford, who was thinking of writing Fuller’s story, wrote to ask him a question. Fuller told Ford that he didn’t know the Grotton family and that he believes his name was given to police because of his prior convictions of murder for hire. Besides, if he had done it, he would have used a different gun, he told Ford. But Jackson said he believes the right people are behind bars — though he is convinced that Boyd Smith, now 57, “certainly played a part” in the murder and, had it not been for the statute of limitations running out, might have been convicted on a lesser charge. And although the former detective discussed the case with the “48 Hours” crew, he thinks it will be the last time he participates in a true crime program.